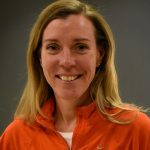 Biology department professor Amanda Norvell, PhD has been elected to a three-year term on the Drosophila Board of Directors. 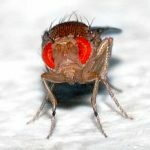 Drosophila is the scientific genus name for fruit flies, which are commonly used as a model organism for biological research, including Dr. Norvell’s research. As a member of the “Fly Board” as it is unofficially known, Dr. Norvell will be involved in advocating for the Drosophila research community to funding agencies, Drosophila stock centers, other scientific groups and the general public; participating in planning for the annual Drosophila Research Conference; and administering a variety of awards issued by the organization. We’re pleased to have one of our faculty members named to this board position. Congratulations, Dr. Norvell!